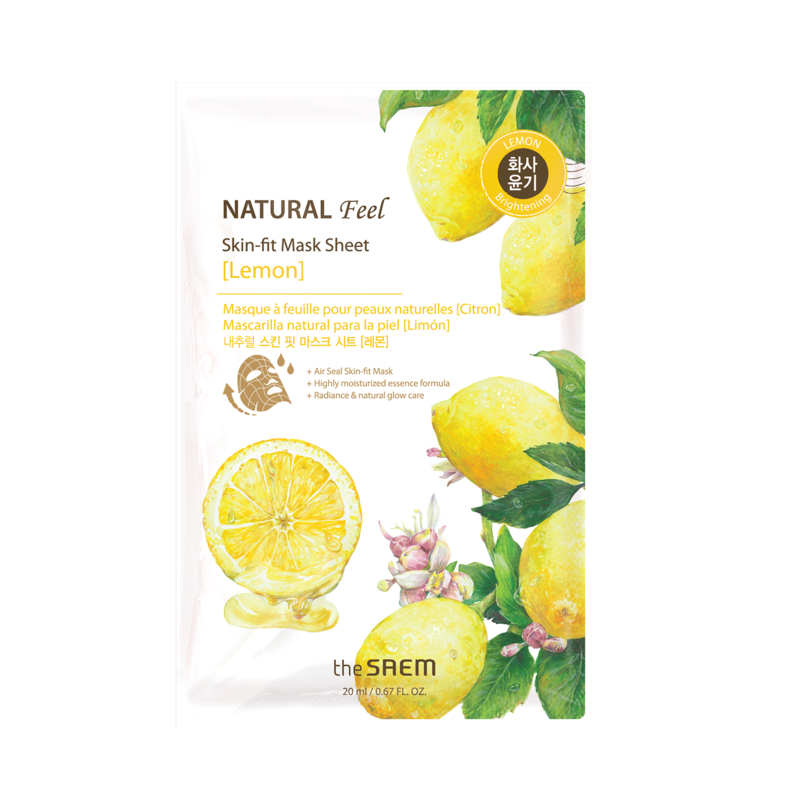 The Natural Lemon Mask Sheet allows dull and dreary skin to clear up and leave it pure and clear, containing abundance of vitamin C from lemon extract. - Citric fragrance from lemons wake up your tired body and mind, whilst the abundance of vitamin C cleans your skin and enriches, it is an energy berry. Purified water, glycereth-26, dipropylene glycol, propanediol, ethanol, lemon extract, beta-glucan, sodium hyaluronate, hydroxyethanol, Indian oriental resin extract, disodium edetate, sodium carbomer, hydroxyethyl cellulose, allantoin, dipotassium glycyrrhetinate, PEG-60 Hydrogenated castor oil, 1,2-hexanediol, glycerin, butylene glycol, caprylyl glycol, licorice extract, omija extract, Ginger extract, green tea extract, hexylene glycol, hydroxyacetophenone, clophenethine, fragrance. inspired by worldwide nature.